HELSINKI, FINLAND, January 18, 2011 – At a news conference today at Helsinki City Hall, Mayor Jussi Pajunen and Deputy Mayor Tuula Haatainen announced that the City of Helsinki has commissioned the Solomon R. Guggenheim Foundation to conduct a concept and development study, exploring the possibility of creating a new Guggenheim Museum in Finland. Known internationally for its important tradition of architecture and design and outstanding musical culture, Finland also has an active visual art scene. The Helsinki metropolitan area has approximately 70 art galleries and a strong group of museums, which include the Helsinki Art Museum; the institutions of the Finnish National Gallery (including the Ateneum Art Museum, Museum of Contemporary Art Kiasma and the Sinebrychoff Art Museum); and the Espoo Museum of Modern Art. The Finnish capital is also currently carrying out the largest urban redevelopment project in its history. Approximately 250 hectares (620 acres) of waterfront districts in and near the city center have been opened for residential and commercial mixed-use projects, thanks to the 2008 relocation of cargo port operations to a new harbor to the east. Among the compact new city sections being developed will be specialized districts concentrating in fields in which Finland has established itself internationally: the arts, education and sciences. The commencement of this concept and development study marks the first step in a multi-level process that will advance and evolve only with the appropriate consent and endorsement at each stage. Once the results of the study are submitted and reviewed, initial recommendations that might result regarding a new Guggenheim Museum would be implemented upon subsequent approval by the City Council of Helsinki and the Board of Trustees of the Guggenheim Foundation. Under its current agreement with the Solomon R. Guggenheim Foundation, the Guggenheim Museum Bilbao must also approve any agreement under which the Guggenheim would manage or operate the new museum. The principal managers of the study team will be Juan Ignacio Vidarte, Deputy Director and Chief Officer for Global Strategies of the Solomon R. Guggenheim Foundation, and Ari Wiseman, Deputy Director of the Solomon R. Guggenheim Foundation. Mr. Vidarte, who is also the Director General of the Guggenheim Museum Bilbao, was intimately involved in the development of that institution and brings extensive experience to the project. Significant support for the study is provided by the Finnish Cultural Foundation and the Swedish Cultural Foundation in Finland. Both Professor Ståhle and Mr. Arell will participate in the steering committee that has been organized to follow the progress of the study. The decision to conduct the study developed after several months of preliminary discussions. The agreement between the City of Helsinki and the Guggenheim to conduct the study was approved by the Helsinki City Board on January 17. Work on the study will begin immediately. Founded in 1937, the Solomon R. Guggenheim Foundation is dedicated to promoting the understanding and appreciation of art, primarily of the modern and contemporary periods, through exhibitions, education programs, research initiatives and publications. Currently the Solomon R. Guggenheim Foundation owns and operates the Guggenheim Museum on Fifth Avenue in New York and the Peggy Guggenheim Collection on the Grand Canal in Venice and provides programming and management for the Guggenheim Museum Bilbao. The Deutsche Guggenheim in Berlin is the result of a collaboration, begun in 1997, between the Guggenheim Foundation and Deutsche Bank. In 2013 the Guggenheim Abu Dhabi, a 452,000-square-foot museum of modern and contemporary art designed by Frank Gehry, will open on Saadiyat Island, adjacent to the main island of Abu Dhabi city, the capital of the United Arab Emirates. More information about the Foundation can be found at www.guggenheim.org. Helsinki is the largest city in Finland and the nation’s administrative, economic, scientific and cultural center. It is home to several universities, including the University of Helsinki (35,000 students) and Aalto University (20,000 students), and it ranks second among European cities in The Economist Intelligence Unit’s Global Liveability Report (2010). The Helsinki Region is home to 1.3 million people and 700,000 jobs. The capital of Finland is located at the heart of the fast-growing Baltic Sea region, 315 miles due east of Stockholm, where it serves as a gateway between East and West. Several daily flights and new high-speed trains link Helsinki to St. Petersburg, and extensive intercontinental flight connections make Helsinki a major hub for the megacities of East Asia, serving 13 million travelers in 2010. 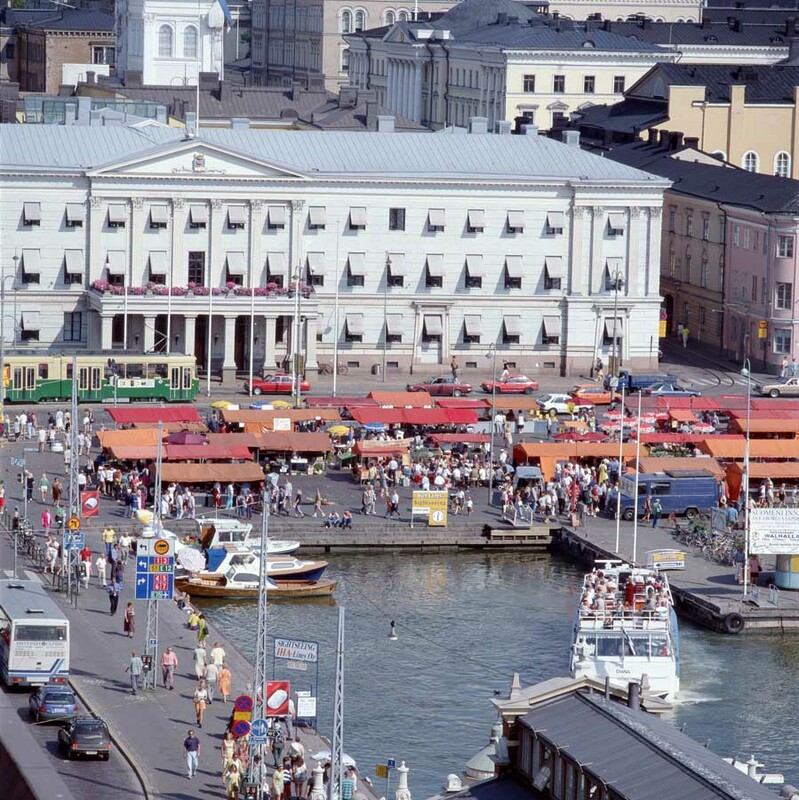 Annually, some 9 million ferry passengers travel through the port of Helsinki. After the completion of a new cargo harbor in 2008, vast waterfront areas in downtown Helsinki have been freed for redevelopment, further enhancing Helsinki’s strong maritime character and making the urban structure more sustainable. Widely known for its distinguished architecture, which ranges from neoclassical to postmodern, Helsinki (along with its partner cities in the unified metropolitan area) was named World Design Capital for 2012 by the International Council of Societies of Industrial Design. The designation will serve as an opportunity to seek new solutions to urban redevelopment challenges and new ways to use design to drive economic growth and user-friendly public services. More information about the City of Helsinki can be found at www.hel.fi. The Finnish Cultural Foundation is an independent private trust. It was founded in 1939 with collections donated by almost 200,000 Finnish citizens from all cross-sections of society. The Foundation is presently one of Europe’s largest. Its assets amount to circa 1000 million euros, of which almost 40 million euros are expended on grants and cultural support annually. The Foundation continues to receive significant new donations yearly. The Foundation is dedicated to supporting and assisting the development of Finnish sciences and arts and cultural life. It achieves its goals by distributing grants from the Foundation’s central and 17 regional cultural funds to individuals, working groups and communities. In recent years the Foundation has also initiated several large-scale projects that aim to improve the well-being of cultural life in Finnish society. These have been increasingly implemented in cooperation with the Finnish state and regional governments. More information in English: www.skr.fi. Svenska kulturfonden (Swedish Cultural Foundation in Finland) was established in 1908 and today consists of more than 450 individual funds created by private donors. The Svenska kulturfonden is owned and administered by the Litteratursällskapet (The Society of Swedish Literature in Finland). Yearly budgets are circa 33 million euros. The purpose of the Foundation is to support the cultural and educational activities of the Swedish-speaking population in Finland. Each year the Foundation awards and distributes grants by means of support grant systems and investments. In addition, the Foundation organizes conferences on varying themes for key groups and experts from the arts, education and third-party sectors and issues reports concerning language and cultural policy. International activities include support of work placements and residencies. The most significant grants awarded in recent years have included support for the new Helsinki Music Centre, theatres and fundraising for universities and other educational organizations. More information in English: www.kulturfonden.fi/eng/.